With strong gates to keep us out and high walls to keep us from leering, most mansions are built to separate us from the 1 percent. But not all mansions are so exclusive. Many have thrown open their doors to the riffraff and regularly invite us in to gawk and stare. So if you can’t help but wonder how the upper crust live, here are a few mansions that you can tour and visit. 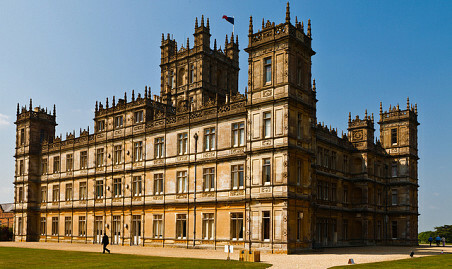 Fans of the British television series Downton Abby will immediately recognize Highclere Castle. The historic estate is the real-world backdrop of the popular series, and has been home to the Earl of Carnarvon since 1679. Looking to wow the world, the third Earl of Carnarvon began rebuilding the castle in 1838, transforming it into the stunning and iconic piece of architecture that it is today. Sitting on an estate of 1000 acres, the sprawling mansion has hundreds of rooms, though even Lady Carnarvon isn’t sure exactly how many. 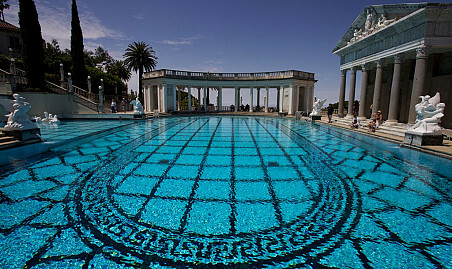 “There are probably 200 or 300 rooms, and 50 to 80 bedrooms,” she told the Los Angeles Times. While the castle now functions in part as a museum — there’s an ongoing Egyptology exhibit in the home’s basement — the lord and lady still run it as a functioning home, employing a staff of 60 to 80. But they also throw open the doors of the main castle to the public during the spring and summer months so fans of the show can tour the house and gardens. Work on his massive mansion began in 1919, but the relentless, restless Hearst was never satisfied with it — he continued to build and rebuild the estate right up until his death in 1951. The home features 165 rooms, two massive swimming pools, and magnificent landscaping that sits on 127 acres of land. But the estate’s real attractions are the art works. Hearst was a voracious collector of historic artifacts, and much of the home is adorned with masterful examples of sculpture, painting and tapestry. In 1957, the family turned over the property to the state of California, which gives tours of the stunning mansion and its equally beautiful gardens. He was the King of rock ’n’ roll, and Graceland was his castle. Originally built in 1939 by a Tennessee businessman, the stately colonial was purchased by Elvis Presley in 1957, a time when his popularity had reached a fever pitch and he was looking for a little escape. 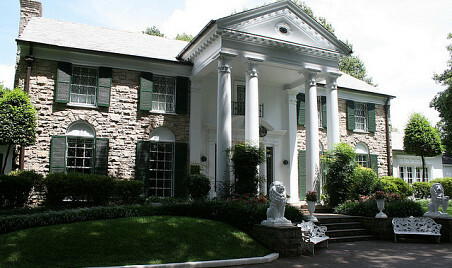 The house, where Presley died in 1977, is now open to the public and functions as a museum to the King. Situated about 10 miles south of downtown Memphis, Graceland features images and artifacts from Presley’s life, including a number of his famous white jumpsuits, dozens of pricey cars and two custom jets. Elvis fans looking to make a pilgrimage can also check out many of the mansion’s 23 rooms and stroll around the 13-acre grounds. 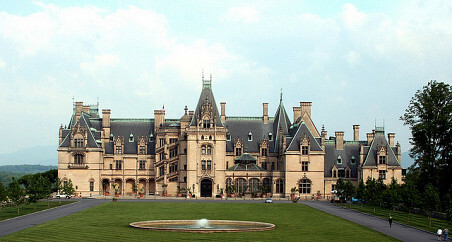 At 135,000 square feet, houses don’t get much bigger than Biltmore Estate. The mansion, which was completed in 1895, is the largest privately owned residence in the U.S. and was the summer home of George Washington Vanderbilt II, a member of the prominent and exceedingly wealthy Vanderbilt dynasty. Built in the Châteauesque style, the home looks like the residence of an 18th century French king, rather than a home in the middle of America’s tobacco belt. When the Great Depression hit, the Vanderbilts weren’t exactly reduced to poverty, but the mansion did become a bit of a burden for the family, so they opened it up to the public, transforming it into a tourist destination. Guests can also explore the home’s gardens, which were designed by famed landscape architect Frederick Law Olmsted (you might better know him as the man who designed Central Park). There is an inn on the grounds of the Biltmore Estate where visitors can stay. Whether you live in a castle or a condo, find a reliable contractor to update your home.